Evan and David are joined by their buddy Dave Cabrera (@sasuraiger), video game writer and author of the excellent webcomic Kawaiikochans, to talk about their impressions of the premiere of FLCL Progressive, the sequel to FLCL. Plus Hinamatsuri, Dark Souls, and lots of shmup talk from the two Daves. Topics include: Noboru Iguchi’s Virtua Tennis, We Have to Blow up the Dong Factory, and 10-hour Gradius binges. 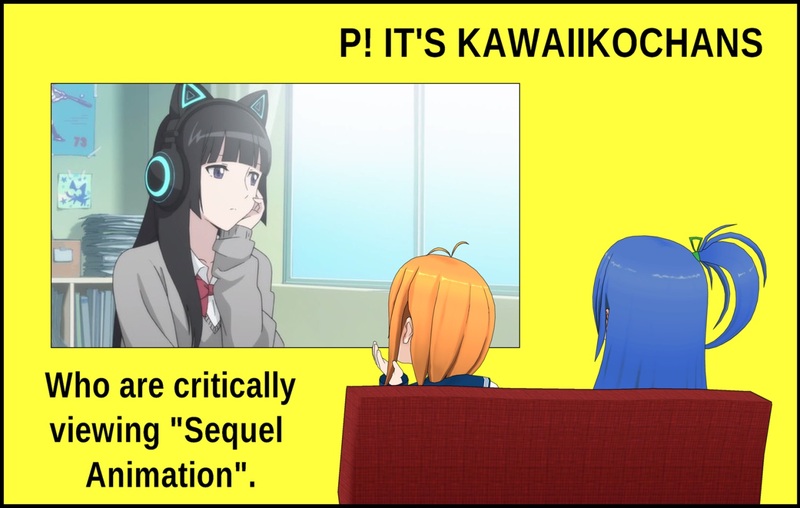 We talk to Dave about his webcomic, Kawaiikochans. Dave and Evan are watching Hinamatsuri . David is playing through Dark Souls and Bloodborne . Evan references the trailer for Noboru Iguchi’s campy action-comedy film Robo Geisha . Then it's time to talk about the Episode 1 premiere of FLCL Progressive , the sequel to FLCL . They’re kind of down on it, but also hopeful that the rest of the show can make good on its super cool intro sequence. Games that get referenced in the shmup talk: Mushihimesama , Touhou , Gradius , Cave shooters. Dave is writing about games for Polygon. Come say hi to Evan and Dave at AnimeNEXT 2018!